Have you been asked to help your organization and your employees to innovate? Do you need to demystify innovation for yourself and others? 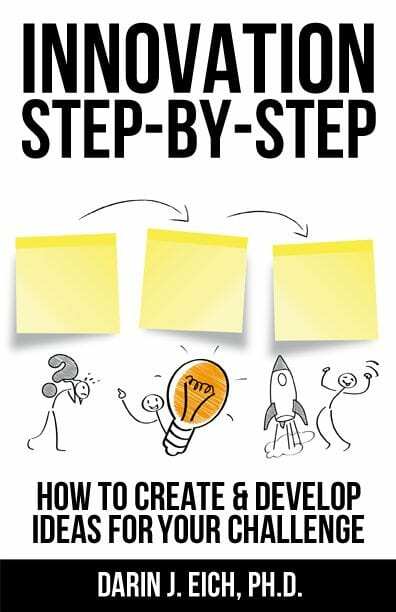 Would you like to learn innovation in a simple way, what that means, how to do it, and how to get started? Do you need to have a culture of innovation, design thinking, or be more agile in your organization? Most organizations do in this age of disruption. These online design thinking & innovation programs can help you to not only learn but to do this approach towards business in our digital and disruptive era. Innovation and design thinking training is newer and you can’t get it easily out of the box. It’s very important though to develop your innovation skills. Research identifies this skill set as one of the most important skill sets to cultivate. Innovation capability development is needed in our organizations and professionals to learn to adapt, respond, and innovate for our changing world. We need to learn more rapidly then ever and be agile. We can learn through doing and creating something real in an agile way. What can you do? Focus on developing the critical skills of this new era where disruption can happen quick. This involves bringing together leadership skills we all have (and need to improve) like creativity, critical thinking, and communication for strategic innovation at all levels and for many purposes. The best way to lean and develop your skills in these areas is through working on a real project and reflecting on it to take it to the next level. An online workshop can facilitate you through a project with a process and tools…and the reflection to sink in the learning. There are online training workshops available for every employee to learn a simple innovation process and get started with their own innovation project to work on a challenge or to make something better in a new way with new ideas. 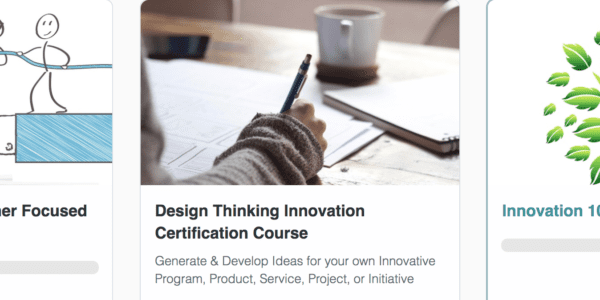 There is also a deeper design thinking innovation certification program for innovation leaders who need to help the culture be more of innovation. Also, we have online workshops which will help you with important organizational trends like design thinking, lean, and customer focus. In the programs you’ll learn from a global expert in leadership development and innovation, Dr. Darin Eich based in Madison, Wisconsin. His InnovationTraining.org organization has helped over 100 organizations with innovation over the past 10 years. Darin’s created a wide variety of leadership and training programs used by over 1 million people. 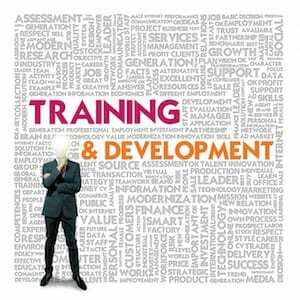 You can get access to a number of online training programs he has designed for yourself or your organization today. Start today as use on an ongoing basis as often and as long as you like. Build the online programs into your own programs that get people collaborating, reflecting, and working on projects. Group license discounts of 50% or more. Start today by taking a look at the online training programs site wide membership for innovation and design thinking. If you are starting an innovation initiative it would be great to learn from Darin to help you move in a good direction and learn where to start. Most of his clients are starting with an innovation focus for the first time and he makes it simple and understandable. For a customized recommendation, email darin@innovationtraining.org for ideas on what you or your organization can do to learn innovation, design thinking, and be more agile.